 All tutorials are with audio & have images, video for better understanding. Students can rewind and hear/view the slides as and when required. 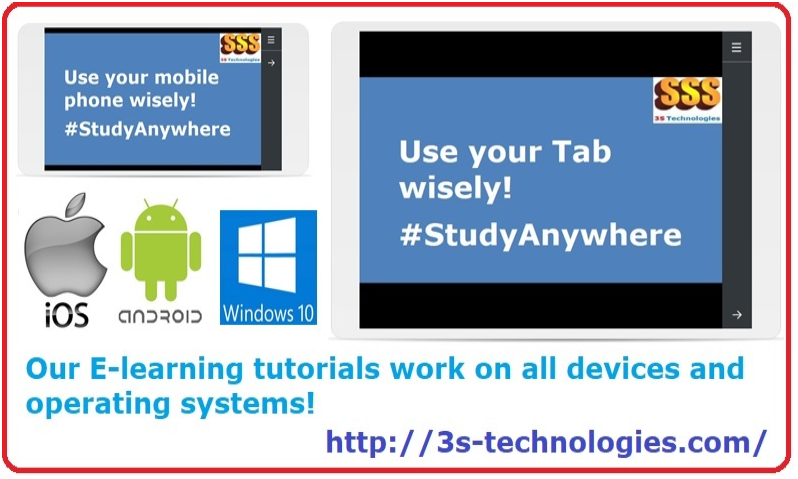 Students can pause the tutorial in between and resume it later from the same slide where the tutorial was paused. Students can zoom images for better viewing. This is a comprehensive tutorial on computer networking where you will learn everything about Basic Networking that is used in industry today. Click on the image to start the tutorial. 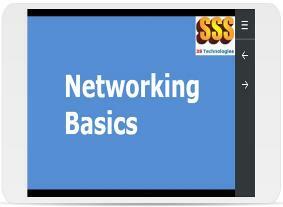 This is a quiz to test your knowledge of networking basics that you have studied earlier. This is a multiple response quiz having 21 questions. 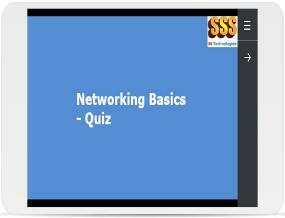 Attempt this quiz, only if you have studied the networking basics tutorial above. 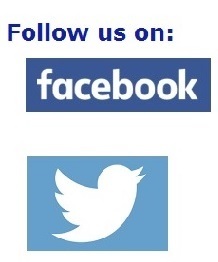 Click on the image to start the quiz. This is a comprehensive tutorial where you will learn everything about Transmission Control Protocol (TCP)/ Internet Protocol (IP) that is used on Internet today. Click on the image to start the tutorial. 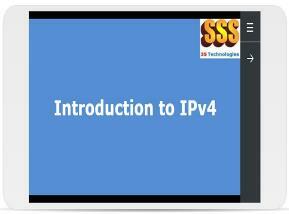 This is a comprehensive tutorial where you will learn everything related to IP addressing Version 4 (IPv4). It includes details of hierarchical addressing model, IP addresses governing authority, IP address classification, private IP addresses and broadcast IP addresses. 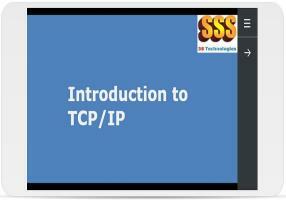 This is a quiz to test your knowledge of TCP/IP and IPv4 that you have studied earlier. This is a multiple response quiz having 20 questions. Attempt this quiz, only if you have studied the TCP/IP and IPv4 tutorial above. This is a comprehensive tutorial where you will learn everything related to IP Addressing version 6 (IPv6). It includes details of IPv6 addressing model, IPv6 addresses governing authority, IPv6 routing protocols, introduction to strategies of IPv6 migration from IPv4 etc. 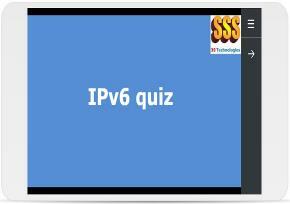 This is a quiz to test your knowledge of IPv6 that you have studied earlier. This is a multiple response quiz having 18 questions. Attempt this quiz, only if you have studied the IPv6 tutorial above. 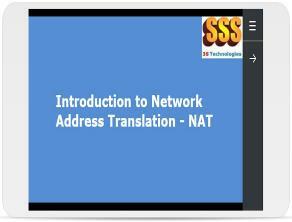 This is a comprehensive tutorial where you will be introduced to Network Address Translation - NAT. It includes basics of NAT, types of NAT, NAT configuration and troubleshooting NAT. A practical NAT example is also provided for your reference. This is a quiz to test your knowledge of NAT that you have studied earlier. This is a multiple response quiz having 18 questions. Attempt this quiz, only if you have studied the NAT tutorial above. 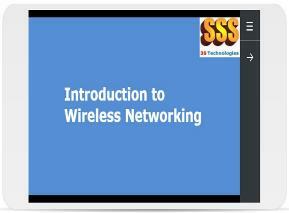 This is a comprehensive tutorial where you will be introduced to wireless technology, wireless agencies and standards, licensed and unlicensed frequencies, wireless security etc. 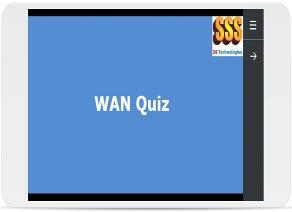 This is a quiz to test your knowledge of wireless networking that you have studied earlier. This is a multiple response quiz having 21 questions. 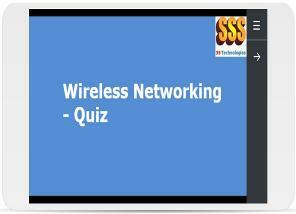 Attempt this quiz, only if you have studied the wireless networking tutorial above. This is a comprehensive tutorial where you will be introduced to Wide Area Networks (WAN), WAN terms, WAN technology like Frame Relay & ATM, WAN protocols like PPP, PPPoE, HDLC, etc. We have also added a small section on MPLS for your benefit. 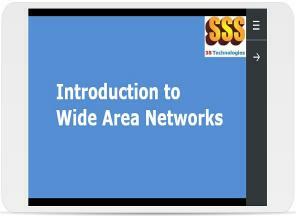 This is a quiz to test your knowledge of wide area networking that you have studied earlier. This is a multiple response quiz having 13 questions. Attempt this quiz, only if you have studied the wide area networking tutorial above. 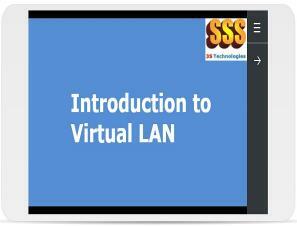 This is a comprehensive tutorial where that introduces Virtual LAN concepts, VLAN identification methods, VLAN memberships, VLAN Trunking Protocol (VTP), routing between VLAN’s and Voice VLAN. This is a quiz to test your knowledge of Virtual LAN that you have studied earlier. This is a multiple response quiz having 16 questions. Attempt this quiz, only if you have studied the Virtual LAN tutorial above. This is a comprehensive introductory tutorial on network switches that introduces switches, bridges, discusses switch functions, talks about manageable and non-manageable switches and also introduces the spanning tree protocol. Students will gain useful knowledge about switches in no time. This is a quiz to test your knowledge of Switching Concepts that you have studied earlier. This is a multiple response quiz having 15 questions. 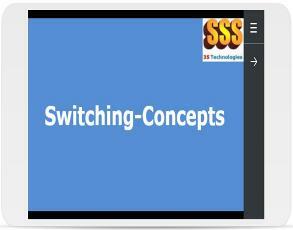 Attempt this quiz, only if you have studied the Switching-Concepts tutorial above. This is a comprehensive tutorial that provides knowledge on VPN’s. It describes what a VPN means, how it is created, types of VPN’s, VPN tunnels, security features of a VPN, administer. 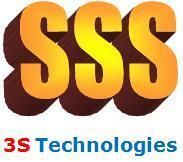 accounting and auditing of VPN service etc. This is a quiz to test your knowledge of Virtual Private Network - VPN, that you have studied earlier. This is a multiple response quiz having 20 questions. Attempt this quiz, only if you have studied the VPN tutorial above. This is a comprehensive tutorial that provides knowledge on MPLS. 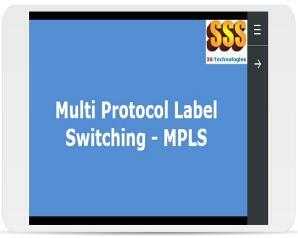 It discusses the drawbacks traditional IP routing, gives information about MPLS architecture, MPLS Label Switch Router, MPLS applications, MPLS standards and differences between TDP and LDP protocols. This is a quiz to test your knowledge of MPLS, that you have studied earlier. This is a multiple response quiz having 20 questions. Attempt this quiz, only if you have studied the MPLS tutorial above.